This rolling school chair just got even better. The padded seat and back provide enhanced comfort so students can focus on the lesson and put their best foot forward. Academia Poly Shell Student Chairs get top marks for value, durability and looks. Built with your student's needs (and occasional exuberance) in mind, we present you with a school chair that is incredibly stable and strong. It features a much thicker shell than other popular student chairs on the market, supported by an 18-gauge steel frame with under-seat brackets for added strength. Tired of your student chairs squeaking and disrupting the lesson every time a child gets up? These school chairs have casters instead of glides, so students can roll smoothly into position without distracting their peers. This design is also great for lessons that require alternative configurations such as circles or group work, as well as for use as a teacher chair. Academia school chairs are designed with clever details such as no exposed rivets, tubular supports that go right up the back of the chair and a wide choice of sizes and colors. Academia Furniture manufactures school furniture products that are durable, attractive and affordable. Its classroom furniture includes the bright and colorful Educational Edge line, and the new and exciting Inspiration line. All of Academia Furniture's products are backed by Hertz's limited lifetime warranty. Chrome is a lustrous, silver-like finish that is electroplated, applying a very thin layer of chrome to steel. Polypropylene is a sturdy, low-maintenance thermoplastic polymer resin that is somewhat flexible. Weight Capacity refers to the moving weight/force of a person as he/she sits down on a chair. Soft Padding: Pads on the chair back and seat make this comfortable student chair a pleasure to sit in. 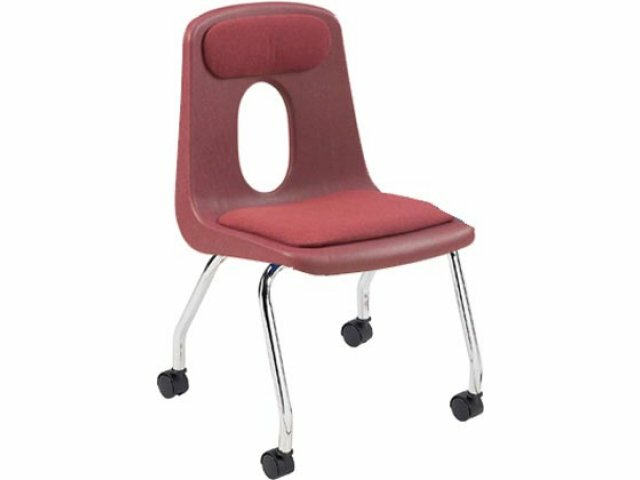 Versatile: These 18" chairs are suitable for teachers as well as students from the 4th grade through college. 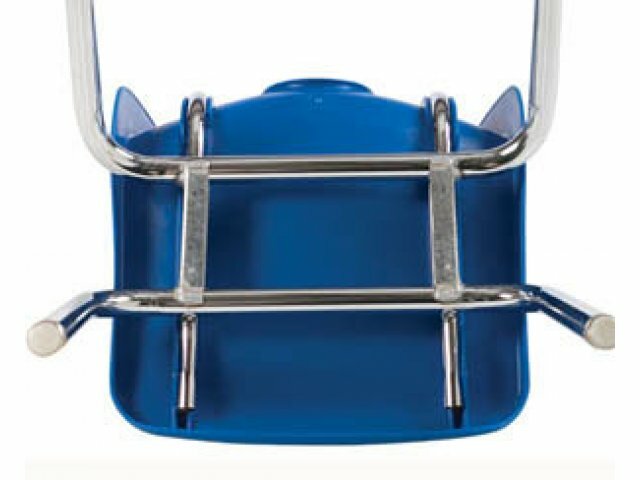 Sturdy Frame: A MIG welded 1/8"-round, 18-gauge, chrome-plated steel frame keeps these chairs standing strong. Tough Reinforcement: Side-by-side tubular steel back supports, 13-gauge under-seat brackets and full-contact welds bolster seats. 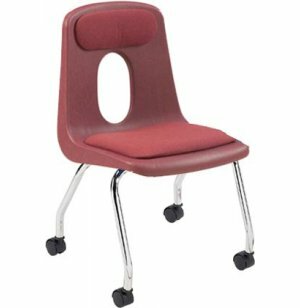 Supportive Seat: The polypropylene shell has a curved back and waterfall seat which help students maintain proper posture for lasting comfort. Ventilated Back: Attractive cut-out promotes healthy airflow throughout the day. Smooth Rolling: Casters are ideal for school chairs because they minimize noise and make it easy to rearrange a classroom. Assembled in the USA with the highest standards of quality. Click an accessory for more info or to add it to the cart.